These days, the topic of conflict minerals has been the focus of many conversations. With new financial reporting and accounting regulations requiring companies to report the use of minerals mined in certain geographic regions and used within an organization’s supply chain, many finance leaders are finding compliance to be complex. And now, with existing requirements under question from the new administration, several companies face added challenges and uncertainties. For some clarity, we talked to 8020 Consulting’s Abim Ojo. A PwC Alumnus, CPA and licensed member of the Institute of Chartered Accountants (UK), Abim has extensive experience in the research and application of technical accounting practices including conflict minerals and compliance. In this blog, she answers our most pressing questions. Q: Can you provide a quick background on conflict minerals: what are they and how are they used? A: Conflict minerals are natural resources that are mined and extracted from ore, often in war-torn areas such as eastern Democratic Republic of Congo (DRC), where the mineral trade has been linked to armed groups and mass atrocities. The four most common minerals are tantalum (columbite-tantalite also known as coltan); tungsten (wolframite); tin (cassiterite) and gold. These conflict minerals are necessary to the functionality and production of everyday items in the electronics industry, such as a smartphone or laptop. Q: From a finance perspective, what does this mean for U.S. companies? A: Section 1502 added Section 13(p) to the Securities Exchange Act of 1934. This means that U.S. public firms are required to comply with a provision in the Dodd-Frank financial reform law that requires companies to disclose annually their use of any of the four conflict minerals. More specifically, organizations are legally obligated to disclose whether or not the minerals being used in their products originated in Congo or surrounding countries in sub-Saharan Africa. Q: Can you provide details on the specific disclosures of 13(p)? Due diligence must include an independent private sector audit of the report that is conducted in accordance with standards established by the Comptroller General of the United States. Section 13(p) also requires the issuer submitting the report to identify the auditor and to certify the audit. For products that are not “DRC conflict-free,” the report must provide the following details: a disclosure of the products manufactured or contracted to be manufactured that have NOT been found to be DRC conflict-free; the facilities used to process the conflict minerals in those products; the country of origin of the conflict minerals; and the specific efforts to determine the mine or location of origin. Section 13(p) requires the information disclosed by the issuer to be available to the public on its website. Q: Which companies are required to comply? A: Generally speaking, manufacturers. Any manufacturing company who uses conflict minerals to manufacture its products must comply. Retailers, on the other hand, are not required to report on products that they simply buy and resell. Additionally, supplies and equipment acquired for use for internal purposes are not within scope. Q: What are the some of the challenges companies are facing with compliance? A: At a high level, there are a number of challenges with compliance. For one, the rule doesn’t define certain subjective terms, leaving room for interpretation. Additionally, companies face difficulties in tracking the original sources of minerals they use and collecting data from smelters and processing centers halfway around the world. While the rule allows companies to rely on “reasonably reliable representation” from suppliers in its supply chain, those supply chains are notoriously long and disjointed, including miners digging ore with their hands and vendors of recycled or scrap metal. 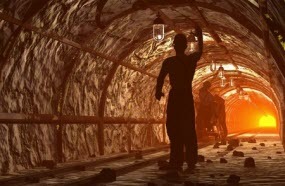 Further complicating matters is the fact that smelters buy ore from a variety of sources and process it for multiple suppliers that in turn sell various finished parts to companies. From an organizational standpoint, there are internal challenges as well. The due diligence process can put a definite strain on already-busy internal resources (particularly, finance teams) and take them away from other roles. Companies may also struggle with having IT resources in place to effectively trace and report on the use of conflict minerals in their products. Also, organizations that assert they do not use minerals from Congo but do not undergo an independent audit to prove it, as the disclosure rule requires, can expose themselves to a number of additional challenges. For these reasons, many companies undergoing the compliance process will consider using an external resource to prepare for and streamline such issues. Q: What are the implications for companies who do not comply? A: Issuers who do not comply in good faith are subject to Section 18 liability. This rule calls for civil penalties against any company knowingly making false or misleading statements. Beyond civil penalties, companies must consider the impact of non-compliance on public reputation. As mentioned previously, companies are required to disclose this information on their website. But it’s imperative to think about things on a greater scale as well. In times of political unrest and violence in parts of the world like the DRC, countries look to the U.S. and the West for a reaction. Failure to act can be particularly damaging to the U.S. companies who are not in compliance, and third parties (such as suppliers and agent) may disassociate from them. This goes both ways, of course – companies who disassociate from non-compliers can gain a more favorable reputation from the public. Q: Can you talk about the burden of social responsibility for many organizations? A: Yes – in fact, this is another very important factor to consider. The rule requires companies to conduct a “reasonable country of origin inquiry” in “good faith” to unearth conflict minerals in a company’s final products. In addition to the legal implications requiring them do to this, issuers may also face pressure from human rights activists, non-governmental organizations, and consumer and/or other market forces to prove they are conflict-free. Stakeholders with a relative interest in ethical sourcing will always look favorably on organizations that are in compliance with the disclosures requirements. Q: How are companies responding to compliance challenges? Any advice you can offer to them? A: There’s a range of ways companies will respond. Some organizations may choose to boycott materials mined in certain regions of the world. Others may seek to establish a robust due diligence processes to address their use of these minerals. Those companies have taken a view that they owe it to their stakeholders to disclose whether they are possibly funding armed groups. While responses may vary, one thing is clear: Compliance is critical; the repercussions of non-compliance are damaging to any business on many levels. For this, I can’t stress enough the importance of engaging with an independent company for help. Conflict minerals pose unique, complex challenges; the reports are tedious and specialized. Relying on someone with expertise in this area is key. Q: What’s the future of conflict minerals compliance? A: In a word, uncertain. While the U.S. public companies have accepted conflict minerals compliance as standard operating procedure (SOP), the organizational challenges with compliance remain. Additionally, a recent White House executive order called on the Treasury Secretary to consult with other regulators, including the SEC, and come back with a report outlining possible regulatory changes and legislation – so at this point in time, the future is unclear.